Oriental Trading provided the items for this post. All thoughts and opinions belong to A Bride On A Budget. Sometimes, DIY turns into DI Why did I do this? And other times, DIY is just some super simple project that requires minor assembly on your part. 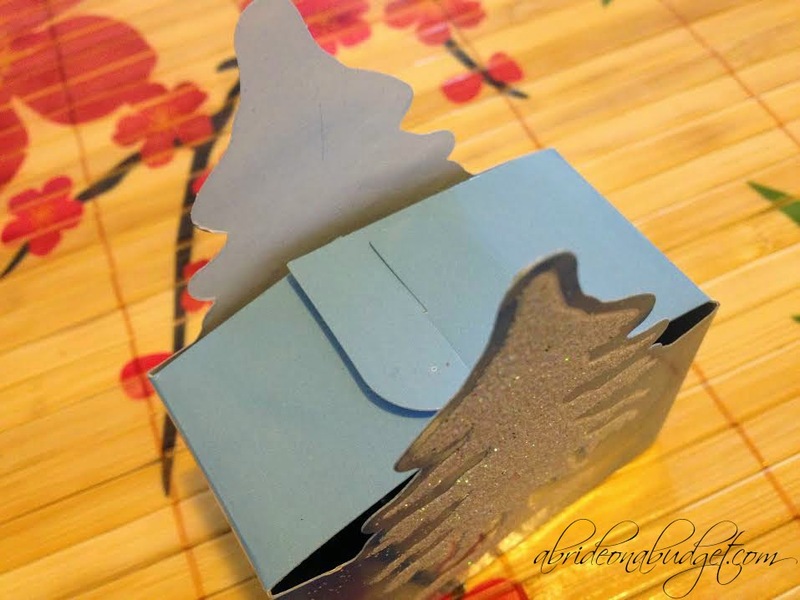 This Simple Snow-Covered Tree Winter Wedding Favor post definitely falls into the second category. They're considered DIY because you are technically assembling them but, honestly, all you're doing is very minor assembly. They're super eye-catching for a winter wedding and require minimal effort. And really, when you're planning a wedding, you sometimes just need things to be easy. And these are easy. 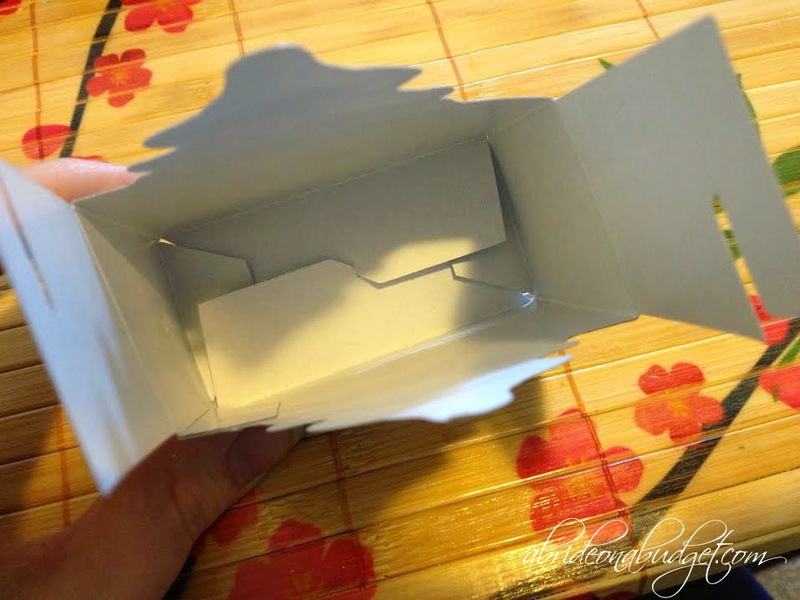 Open the favor box and squeeze the sides. 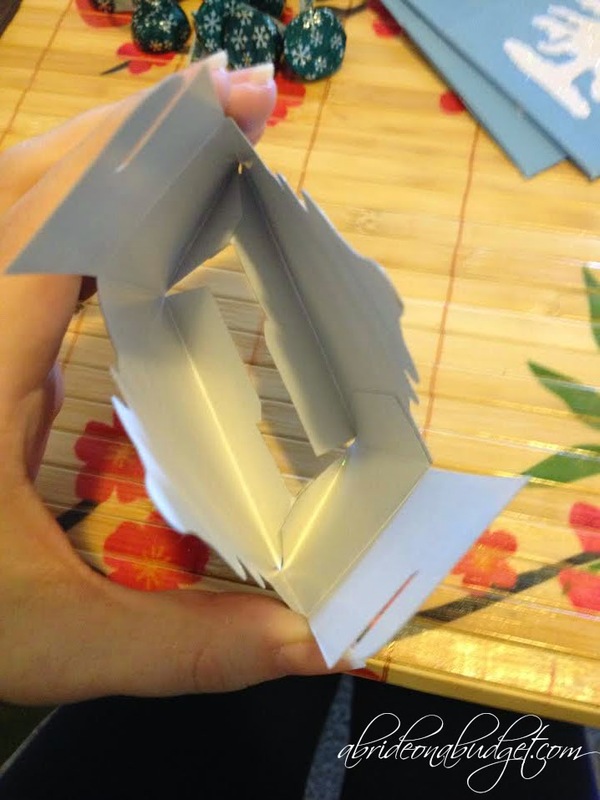 The bottom will actually fold itself. I told you this was easy. Fill with Hershey Kisses. I was able to fit ten really comfortably (it didn't look empty, but it wasn't overfilled either). 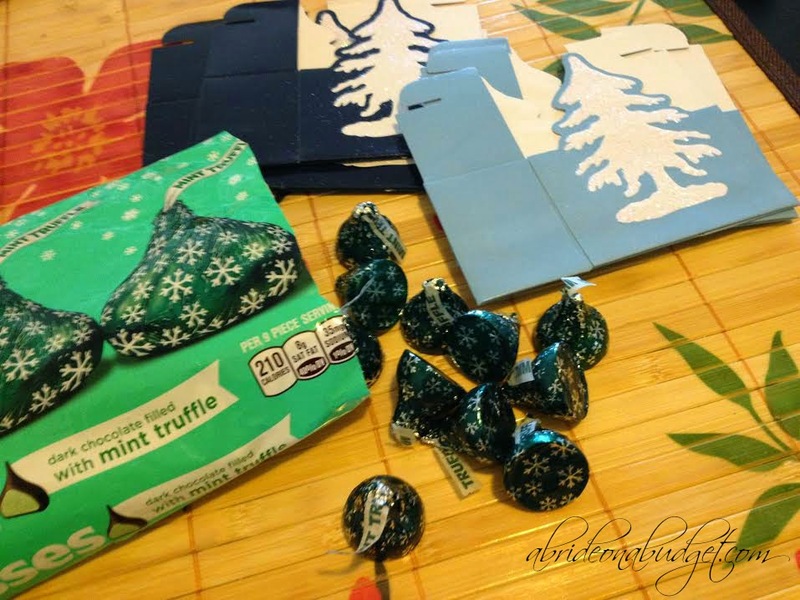 Personally, I think the Mint Truffle Kisses are the best for this. First, they're mint so they give that winter feeling when you eat them. And second, their wrappers have snowflakes on them. That absolutely matches your winter wedding theme. 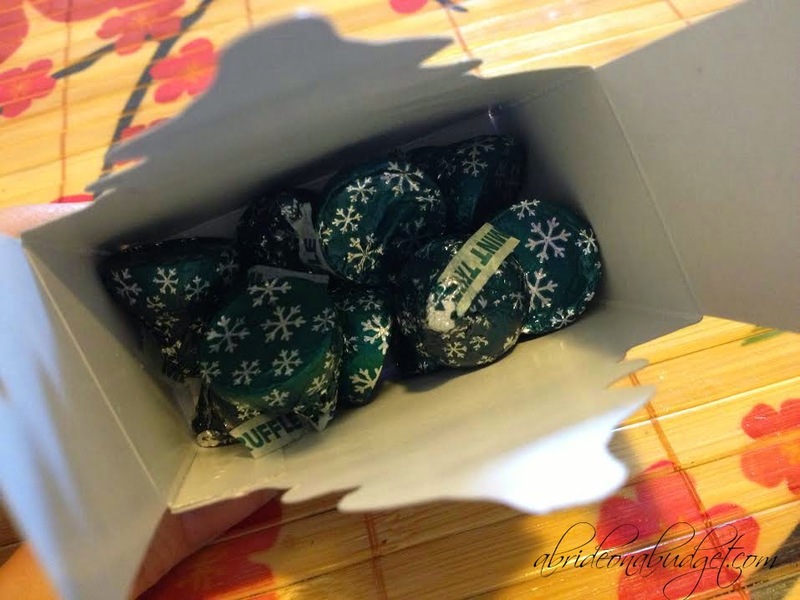 My bag of Mint Truffle Kisses had 63 Kisses in it, so if you're doing ten in each like me, you're looking about six favors per bag (plus a few Kisses to eat while you work). Keep that in mind when you're buying the Kisses so you pick up enough. 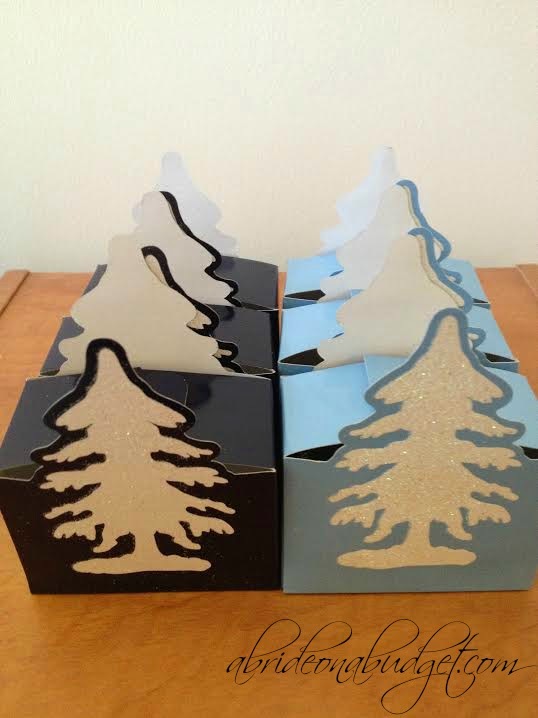 Right now, the favor boxes are on sale at Oriental Trading, so I would definitely buy the favor boxes now, even if your wedding is next winter. You'll definitely have them for your wedding and you'll be able to save on them. And you know I love savings. 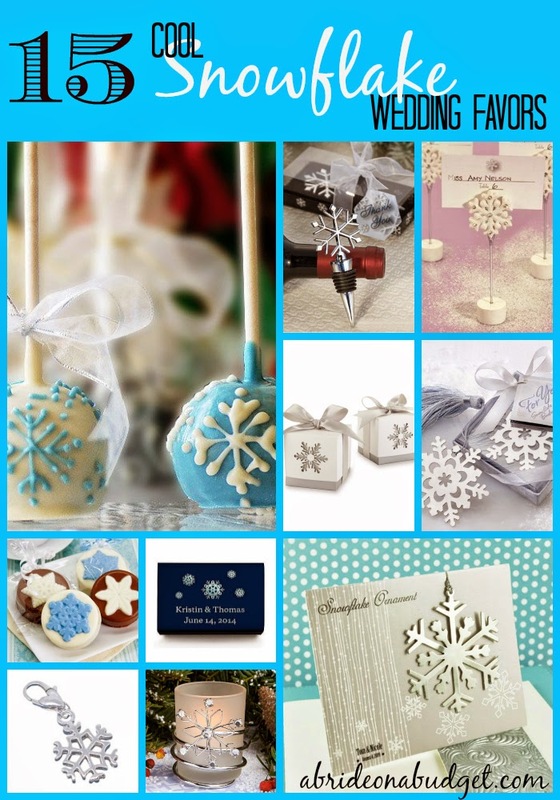 BRIDAL BABBLE: What else would you fill these winter wedding favors with? 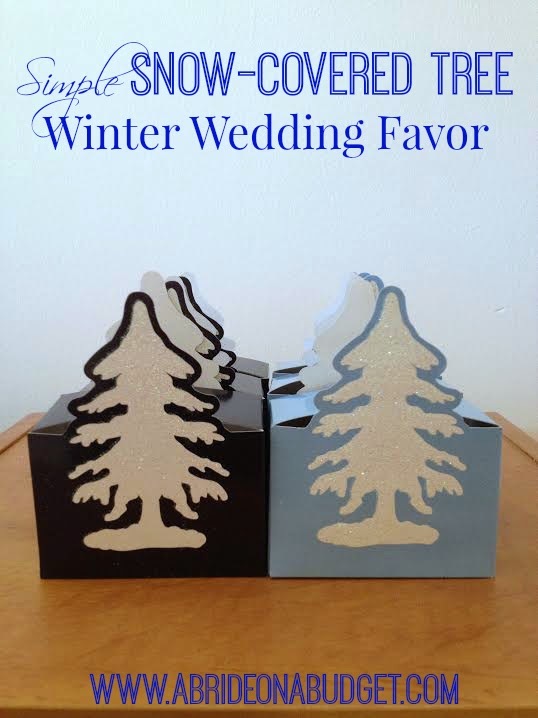 Check out our 15 Cool Snowflake Wedding Favors post. I would fill it with chocolate, chocolate, or chocolate. Heck, just give me the chocolate without the pretty box. I LOVE them! Everything about them say "winter wedding" and I love the price even more! Cute idea! I might fill them with silver or different shades of blue chocolate coins - you can get 15 coins for a 1.00 at Party City here in NY - not sure if that's the same all over - but they're cute & delicious! I would probably go with chocolate to fill them. I love the price! oh these little boxes are just so cute-- and filled with chocolates instead of the mints is perfect-- I love it! Awh, are these ever cute! I love the slight glitter of the boxes but, more than anything, I love the chocolate! Thanks for linking up on the Monday Mash Up today! !